Limited spots remain for our Spring Concert Series, aka: the Connoisseur Club. 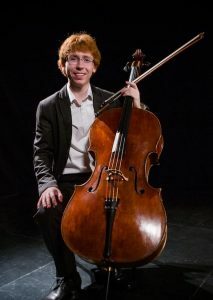 The first of four events takes place next Thursday April 18th, and features cello virtuoso Cameron Crozman. Cameron has become a highly in demand musician and will be making his only area appearance next week. Please call us at the office at 705 746 2410 to reserve your spot. Your membership will entitle you to entry to all four events, as well as refreshments following. In addition to Cameron, we have hot young string quartet Quatuor Despax on May 9th, Moshe Hammer on June 6th, and on June 13th, James Campbell will top off the series with a discussion of the 40th season’s highlights. We’ve been told these private events are a highlight of the season. Don’t miss your chance to catch these professional performers in an intimate venue.